LOS ANGELES—Frozen in dread and astonishment as its sonorous pronouncements filled the Dolby Theatre auditorium Sunday evening, attendees of the 86th Academy Awards reportedly cowered in stunned awe as a disembodied, all-knowing voice proclaimed a range of information on the ceremony’s nominees. 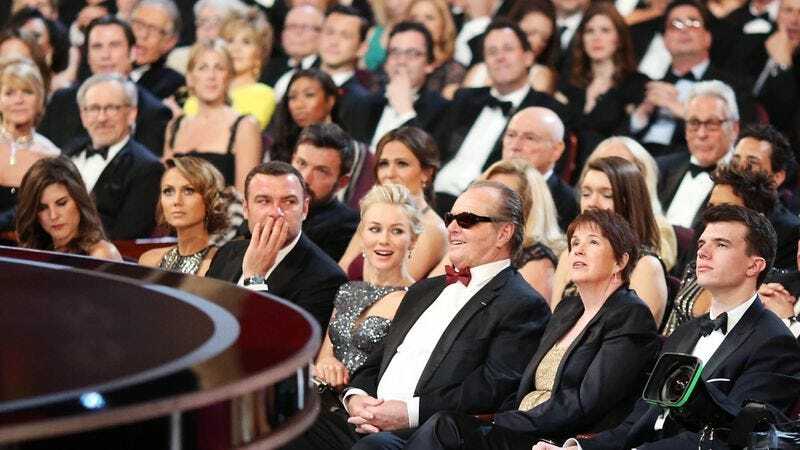 “Cate Blanchett is nominated for Best Actress for her role in Blue Jasmine,” the all-mighty, all-seeing incorporeal voice declared before thousands of dumbfounded onlookers, having previously expounded on such matters as the names of the show’s presenters, the awards that will be handed out after commercial breaks in the telecast, and Christian Bale’s filmography. “She previously has been nominated for an Academy Award four times, including a win for Best Supporting Actress in 2004 for her role in The Aviator.” At press time, the resounding, omniscient voice of no known earthly origin was sending terrified shudders through the crowd by welcoming to the stage Grammy Award–winning recording artist and two-time Oscar nominee Bette Midler.